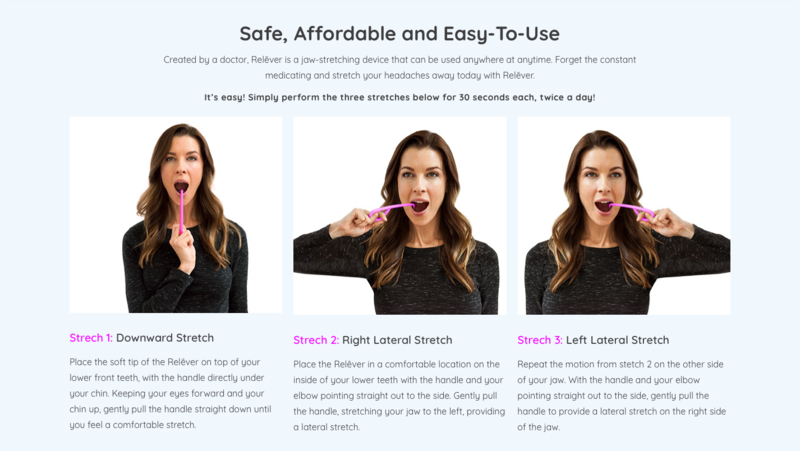 This Made in the USA tool helps you stretch out jaw muscles for tension headache relief. Just two quick sessions a day help alleviate built-up tension in the jaw before it can spread to other muscles in the neck and head and result in a headache. Dimensions: 6" x 2" x 0.5"
I bought this because I thought it might help the headaches that I sometimes get from TMJ issues, but it says on the packaging that you're not supposed to use it if you have TMJ issues. Bummer. I would suggest adding that to the item's description. Sent to a friend as a gift. No instructions included. He figured it out and it does seem to bring some relief. Helped my daughter's jaw tension the first couple of times she used it. Since then, her jaw tenses in response and headache increases. 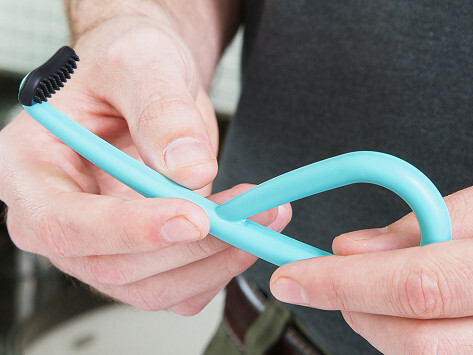 Relēver is a Made in the USA tool that helps you stretch out the muscles in your jaw—which is where tension headaches can get their start as the head, neck, and jaw muscles are all interconnected. Just two quick sessions with Relēver a day will help release any tension that might be building from grinding your teeth, chewing gum, or as the natural result of stress and anxiety. It’s compact, easy to use, and—most importantly—a drug-free way to prevent and treat headaches.